Some of the local news around the recent decision in Tuaua v. United States. The decision is the expected one. Guam and the other insular territories are trapped in a maze that has been created by the United States over the past century. It would take a judge or a court that is heavily invested in justice and truly righting the wrongs of history to make a decision that didn't just reinforce the colonial power of the United States in terms of the The Insular Cases. The Commission on Decolonization hasn't met for quite a while, but we finally met earlier this week. Our last meeting was in January and although we tried to meet several times, we could never get enough members to be present in order to establish a quorum. Although the Commission started off strongly two years ago it hasn't been very effectively in the past year. The Governor hasn't been to many meetings lately and is frequently off island when we meet. The members of the Legislature who are part of the Commission often commit to attending meetings but are stuck in session when the meeting time actually arrives. Part of the problem with the issue of decolonization is that while it is something that every politician has to take seriously, it is also something that no one is quite sure how to take seriously or how to at least appear to be taking it seriously. Si Ben Pangelinan i mas ya-hu na Senadot gi i Liheslatura. Gi entre todu i mampulikat Guahan, Guiya i mas hihot sumopopotte "Independence" para i mamamailan Guahan. Guiya i mas gaitiningo' gi i Liheslatura put kosas decolonization. 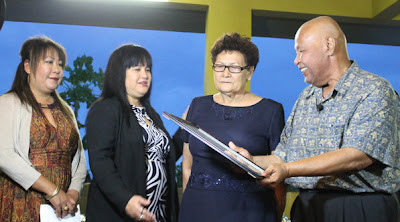 Annai i pumalu gi halom i gubetnamenton Guahan yan gi entre i pulitikat ma yute' i "decolonization registry" ya ti ma atetende, i ofisina-na kumatga ayu. Gi fairs yan otro na events publiko, fihu manannok i i fafacho'cho' gi ofisina-na gi un lamasa. Manreregister taotao siha para i registry. Nina'magof yu' kada nai matto i tinige'-na siha gi iyo-ku Inbox. Estague unu na tinige'-na put Bill 19, ayu na sen madiskuti yan senmamali na sina na lai. A student asked me today about Edward Snowden. I found that I had only general information about his case and wanted to know more. If my student had asked me about ? I would have proudly shown off my ignorance. But not being able to talk for more than a few minutes about Snowden made me feel embarassed and so I just spent the last hour reading up on his case. I signed a petition on the White House website to pardon him for his role in revealing US surveillance programs. Today he is on his way to Ecuador, where I just was last month, to request asylum. Below are some articles to check out. LONDON, June 23 (Reuters) - WikiLeaks' decision to help U.S. intelligence contractor Edward Snowden escape Washington's extradition attempts in Hong Kong has cemented the anti-secrecy group's reputation as a thorn in the side of the American and British governments. I've been so out of shape this past year, I'm committed to going hiking at least every other week this summer. In order to fulfill this promise, I'm coordinating Miget's Secret Summer Hikes, that will take place at random intervals this summer. There is no schedule for the hikes. There is no real order. It is a mixture of places I love to visit and new places that people are introducing me to. The only place I really post info about them is on Facebook. If you aren't a friend of mine on Facebook then you won't be able to learn much about them. Asi'i yu'. Here is a pick of where I went to today. 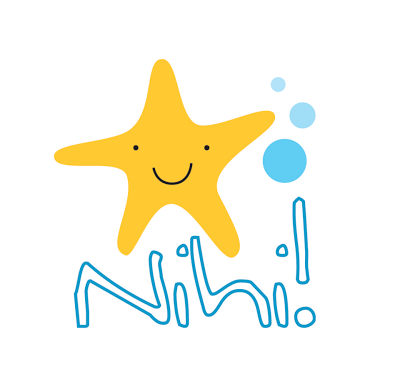 For those not familiar with Chamorro, “Nihi” is an inviting word and one that fits perfectly as the title for a kids’ show. It is used in sentences to convey togetherness and doing something as a group. Most people translate it to mean “let’s.” As in Nihi ta hanao = let’s go. Nihi ta fanocho = let’s go eat. It is a beautiful everyday way of inviting people to do something with you or go somewhere together. Last month I did a quick “Chamorro” tour of southern California. While flying to a UN conference in Quito, Ecuador, I stopped off in California for a few days to visit family, friends and the lively network of Chamorro groups that have formed in recent years. I flew into San Francisco and over three days drove 1000 miles from the Bay Area, to Los Angeles, Long Beach and San Diego. For people who live in the states, this may not seem like a great distance, but for people on Guam, this is the equivalent of driving from the northern to the southern tips of the island 15 times. This tour was a personally enriching experience as I got to catch up with people I had worked with before and see projects that I supported at the beginning see completion and success. PACIFIC Legal Foundation (PLF) has taken up the cudgels for Arnold “Dave” Davis’ plebiscite lawsuit, citing the courts’ role in protecting political minorities from “discrimination and marginalization” in the political process. “Here, Arnold Davis alleges that Guam is preventing him from engaging in the political process because of his race,” PLF said in an amicus curiae brief filed Friday in the Ninth Circuit Court. “Because he has been treated differently than other voters, he has suffered an injury-in-fact and has standing to challenge the unequal treatment,” the legal watchdog said. The case reached the Ninth Circuit Court in January on the heels of Chief Federal Judge Frances Tydingco-Gatewood’s dismissal of Davis’ civil rights suit. There has been alot of buzz lately around a case that was filed last year on behalf of a group of Samoans, that is a challenge to the Insular Cases and the relationship of people that live in unincorporated territories to the United States. The short name for it is Tuaua v. the United States. 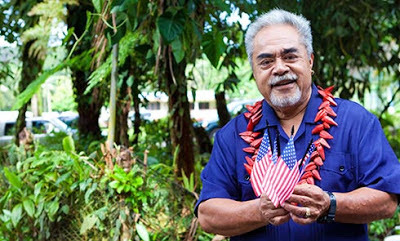 Samoa's relationship to the United States is perhaps even more interesting than Guam's. 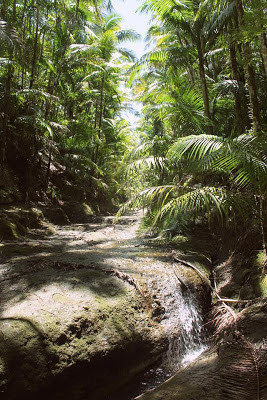 Although they are a territory and a colony as well, because of the particularity of their history, they are less intimately connected to the US than Guam is. If they are born in American Samoa then they are not US Citizens but instead nationals. They have US passports that have a disclaimer that clarifies that they are not truly US Citizens. They have a traditional government system that exists today alongside the government that has come through territorial status. They are not eligible to as many Federal programs as people in Guam, but they have more autonomy and local control.